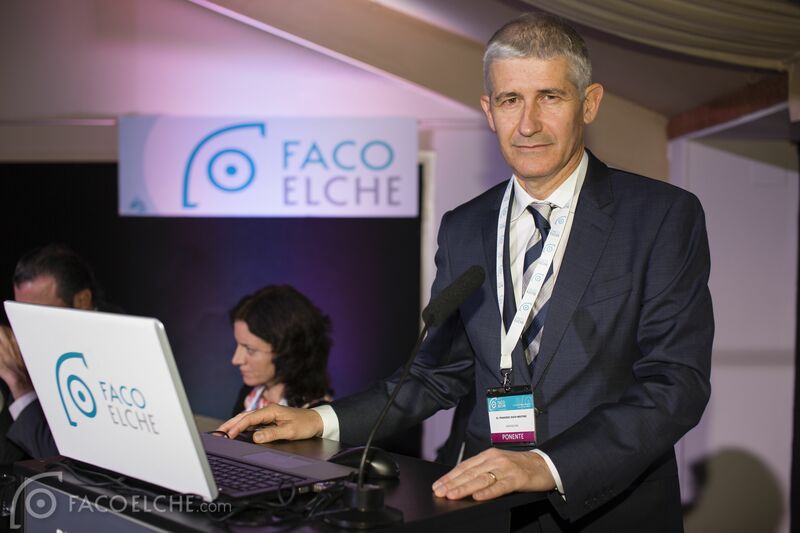 Between 4th and 6th February, ICR Medical Director, Dr Jürgens, together with Head of ICR Refractive Surgery Department, Dr Duch, took part on FacoElche 2016, a scientific meeting devoted to phacorefractive surgery which celebrated this year its 18th edition. FacoElche organizes presentations and activities related to anterior segment surgery in general, but it focuses more specifically on surgical interventions on crystalline lenses, cataracts and intraocular refractive surgery. This year, more than 1000 national and international accredited professionals attended the meeting, where presentations, communications and other related activities were carried out targeting a practical and didactic aim that has made FacoElche become one of the three most important ophthalmology meetings at a national level. During the first evening, ICR Medical Director Dr Jürgens took part as a chairman in the activity devoted to the future of guidance systems, topographers, and microscopes with 3D or OCT, as well as phaco with nanosecond laser, among other technologies. In the morning of 5th February, the Head of ICR Department of Refractive Surgery Dr Duch presented a paper revolving on the subject of refractive surgery that dealt with the implantation of ICL collamer lenses. Later on that day, Dr Jürgens took part on the debate named “Myopia power refraction” were several subjects were treated such as transparent crystalline lenses, multifocal lenses, phakic lenses and above all, problems that may suffer patients with myopia on the retina. 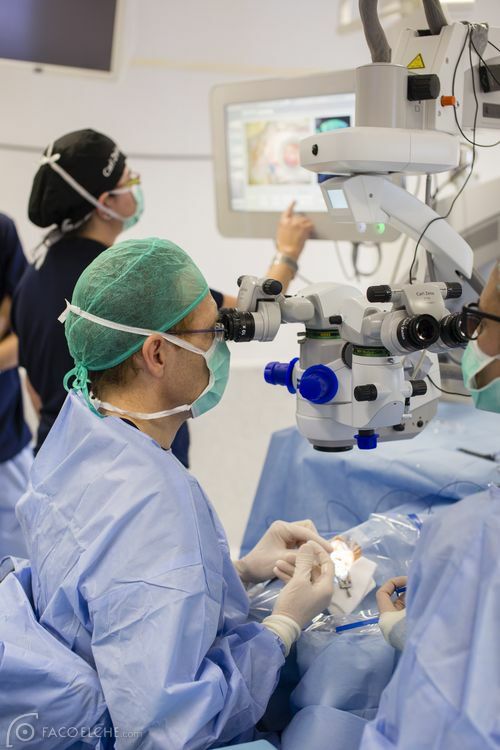 But undoubtedly, the main activity of this important ophthalmology meeting was the live performance of a surgical eye intervention, which lasted all the evening and was broadcasted from Hospital de Vinalopó. Dr Jürgens travelled to the hospital to take part on the activity as a surgeon and carry out the first live broadcasted surgical intervention using a microscope with integrated intraoperative OCT in Spain. The intervention was commented on by the participants who attended FacoElche 2016. 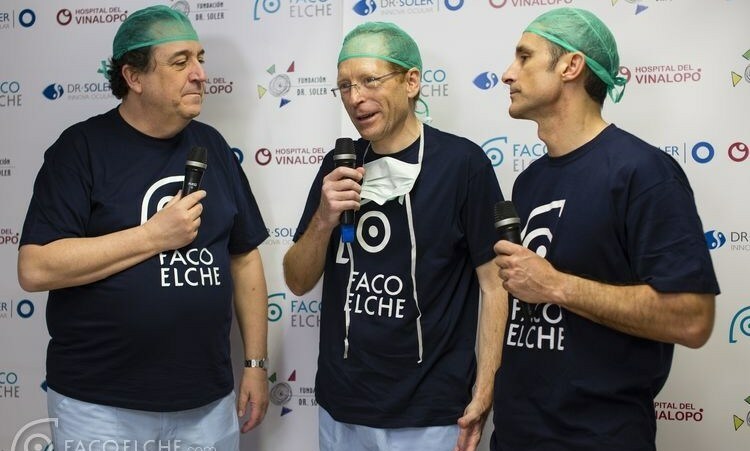 FacoElche is an event where every year professionals can witness the highest expression of ocular surgery and in which this year ICR members Dr. Jürgens and Dr. Duch, have been partakers.